The communication below is from a family who received the Gift of Literacy, a program sponsored by Counterpane and facilitated at the Peachtree City Library by Rotarians from the Rotary Club of Peachtree City, GA, in RD6900. Funded by the Counterpane Golf Classic and community donations, the GOL gives participating children a Souns symbol each month until they have all 26 letters. I wanted to give you an update on [my daughter] – we joined the program through the Peachtree City Library when she was 9 months old and have since moved away. The attached picture is of her and her 17 month old sister. I have always kept the Souns materials available, but not pushed the subject in a formal sense. We have decided to homeschool and have recently started [my daughter] on the Kindergarten curriculumn. 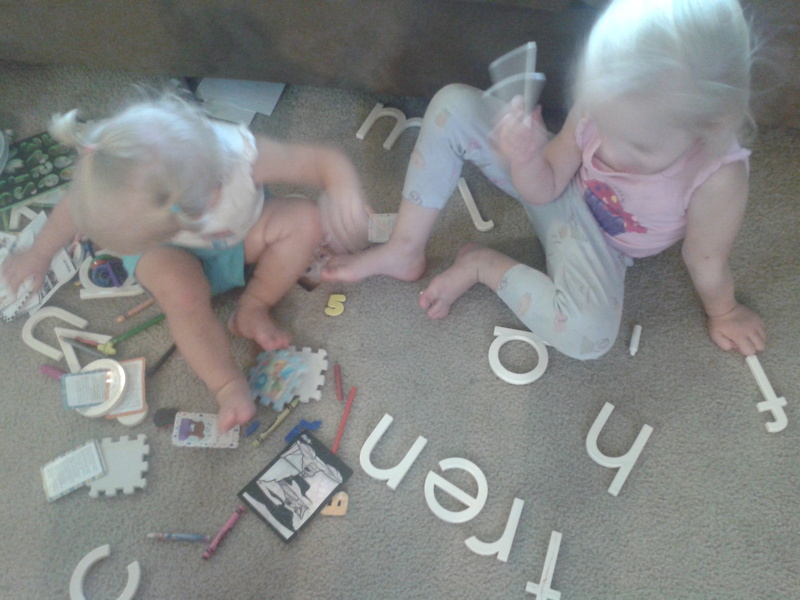 We owe a large part of our decision to your program – [she] started reading 3 months ago and today she sat on the floor “teaching” her sister [to write] her name! She learned phonics, simple sounds that connected to a physical presence (we also used oversized, lowercase refrigerator magnets), and read at least a dozen books a day (and every other sign, magazine, and written word) because they’re fun. She now knows letter names (they came easily and there was no struggle with connection, which I feared. Now, [her little sister] wears Souns as bracelets and though she is a late talker, she has no problem making the sounds her sister has taught her – [the little one] is far more physical and having the souns to manipulate is vital for her. I apologize for not corresponding more, but thought you should get a Thank You from myself and my family. We never could have afforded a program like this on our own but our children are thriving with it. Every – YES, EVERY – child will read! This entry was posted in Gift of Literacy, Public Libraries, Rotary Projects. Bookmark the permalink.